Nestled in the heart of southwestern Virginia, Trailhead ATV Resort offers the perfect friends and family lodging location for ATV & Dirt Bike enthusiasts with a selection of Cabins, Cottages and RV/Tent sites. Trailhead ATV Resort provides the unique combination of a top quality campground and proximity to two premiere trail systems: the Hatfield-McCoy Trail System and the Spearhead Trails System. Located in Greendale Indiana, Haag Ford has been serving the Midwest for over 55 years as a family owned and operated business. For multiple years we at HHO have had the privilege of owning and customizing our trucks with Haag Ford. Every HHO family member and fan we have sent to Haag has resulted in positive experiences. BRENTON USA (BartZ) began out of frustration to find a high-quality hunting rifle based on the popular AR (Armalite Rifle) platform. As passionate hunters, they understand what a hunter wants and needs to be successful in the field. Quality, reliability and functionality are all important. A good hunting rifle is more than just accurate. It has to carry well, hold up to the elements, be durable, and it doesn’t hurt if it looks good too. At HHO we have carried BRENTON USA for over two years and across the nation on hunts. We support hunting with an AR platform, but only with the brand that puts hunters first. Headquartered in Nelsonville, Ohio, the ROCKY® brand continues to be a world leader who designs, develops, manufactures and markets premium quality, rugged Outdoor, Work, Western, Duty and Military footwear as well as Outdoor and Work apparel and accessories. Innovation, quality, and durability are hallmarks of the ROCKY® brand name. The Company continually monitors the development of innovative raw materials and has distinguished its branded products by incorporating new fabric and technologies into the design of its footwear and apparel. Over 13,000 retail, online and catalog outlets carry ROCKY® footwear worldwide. The Rocky goal to provide quality outdoor and occupational footwear has not changed since the doors opened over 80 years ago. 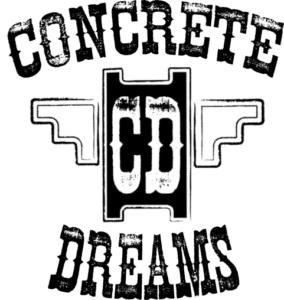 Concrete Dreams brings years of design, fine arts, horticulture and advancements in the concrete industry together to provide superior products and processes in a progressive business model. Our mission is to collaboratively bring to market ideas and products that provide designed solutions for hardscapes, poolscapes and architectural details through the use of glass fiber reinforced concrete and enhanced concrete formulas. We design, create and install our projects hand-in-hand with our clients. We are Casters, Carvers, and Makers. Concrete is our medium to create your dreams. Optics are an instrumental tool to the avid hunter. Your day can hinge on your ability to find an animal on a distant mountain face. Or determine the size of the bull elk on the next ridge at first light. Or identify the rutting whitetail buck that’s chasing a doe your way across the cornfield. As you no doubt know, the scenarios are endless. 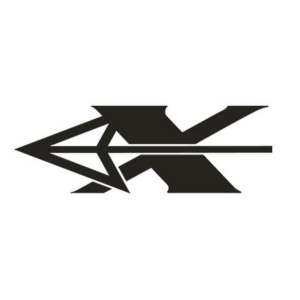 Located in Yankton, South Dakota, Xpedition Archery is a manufacturer of high-performance compound bows. By taking their machining knowledge of high tolerance complex engineered parts and applying it to the archery application, they strive to achieve archery perfection. Herd Evolution® is a premium, year-round feeding program formulated for optimal herd health and maximum antler potential. Herd Evolution® was created by Allen Goins, a fellow hunter, who grew up hunting in the mountains of Eastern Kentucky and is now based in Richmond, KY. Allen wanted to do more than just attract deer; he wanted to attract and feed healthy deer, so he began to study their eating habits and being unsatisfied with the quick fix, low quality feed available…he decided to create his own. Steele’s Hometown Tire is the trusted name in automotive service, performance accessories, towing accessories, and UTV/lawnmower sales. Established in 2002, we have two locations serving Burlington, Florence, Hebron, and surrounding areas. Visit us every Monday through Friday 8:00 AM – 5:00 PM and Saturday 8:00 AM – 12:00 PM for unparalleled car service and customer service. From an oil change and tire rotation to lift kit installation and even lawnmower repair, there’s a lot we can do for you. Our staff includes ASE-certified technicians with years of combined experience in the automotive service industry. Founded in 2017 by lifelong outdoorsman Matt Minshall, Native Ground Blinds is a labor of love for the outdoors. Matt cut his teeth in the outdoor industry, working behind the counter of his parents’ business, founded in 1972, counting worms, cutting arrows, and spooling fishing reels. Time passed, and the store’s four walls couldn’t hold him and the ambition to design products for the hunting masses overpowered the desire to work for family. Matt took a gamble in 2007, leaving the family business and starting another well-known industry venture. Matt credits his success to faith in Jesus Christ and hard work. Over 30 years of study in environmental surroundings (hunting), fractal research, and natural elements has reached a pinnacle and the result is our camo. Knowing wasn’t enough; application of what we have learned dissecting the woods to create a concealment pattern outside of the industry paradigm was the outcome. We know bigger, bolder, more contrasting elements and textures are crucial to disguising the most recognized silhouette on the planet, a human. Our three dimensional aspect combined with the digital layout inside the pattern doesn’t allow you to homogenize as you walk away or sit high above in a stand, to put it simply, you don’t become a blob at a distance. The patterns were developed and approved, then we had to build a clothing line around our designs. Everything we do has the hunter in mind, from the patterns themselves to the quality of clothes we put on our own backs. In other words, this company was built by and around some of the most skilled and knowledgeable woodsmen/hunters alive, it all just makes sense. The unique arrangement of TREEZYN allows you to become any environment of your choice. Whether it be the early spring and fall or the late season hard woods, you can hunt with confidence knowing that you wear the most versatile, silhouette vexing camo pattern available today. Be part of the revolution that is here. With TREEZYN don’t just blend…become!